Sure, Adobe InDesign is the leading choice for professionals seeking to publish posters, flyers, brochures, magazines, newspapers and books. But that doesn't mean that Adobe has thought of everything, and along comes today's discount software promotion - Output Factory - to make your experience with InDesign that much better! 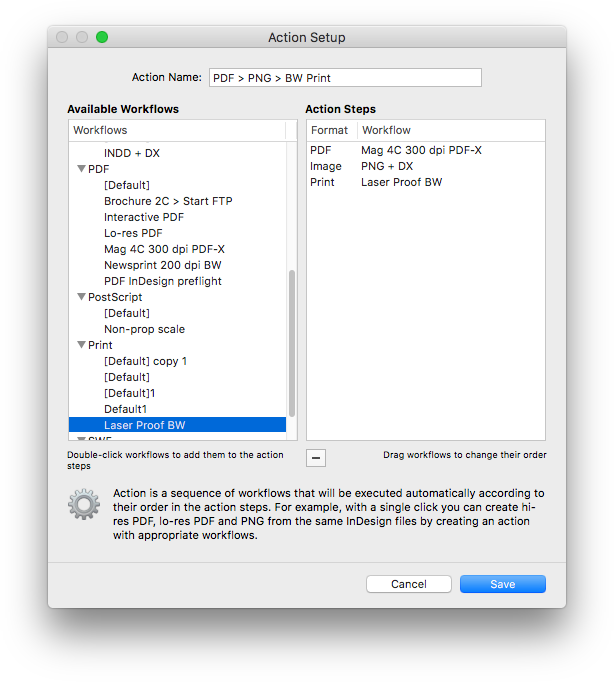 Output Factory automates printing, exporting, and file delivery tasks in Adobe InDesign! With Output Factory, you have the freedom and power to output hundreds of documents or just single files with full control over batch printing, layer versioning, automatic preflighting, file delivery, and more. 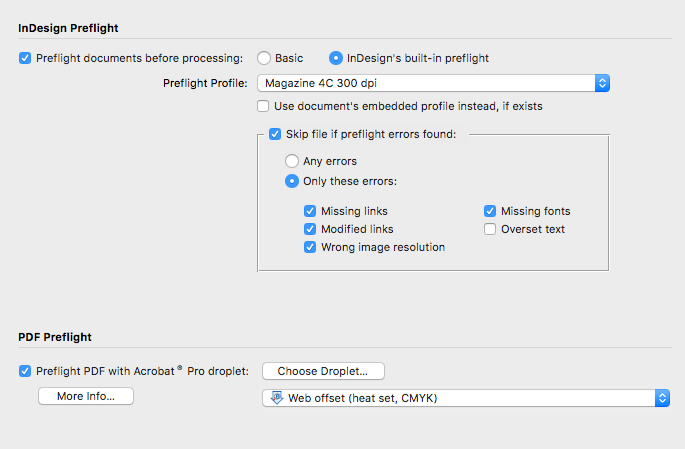 All you need to do is select your InDesign files, tweak your settings, and go! 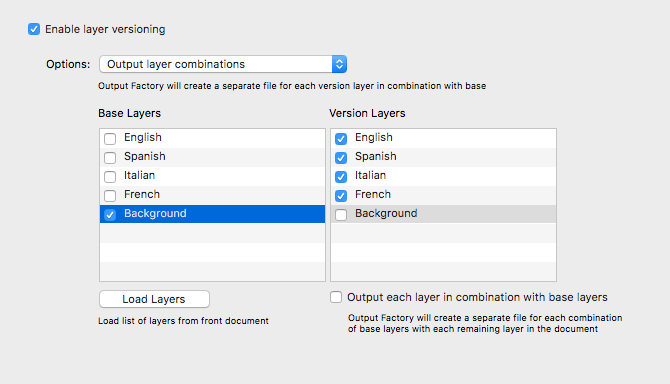 Those of you who work with lots of documents will appreciate Output Factory's support for batch processing and multitasking. 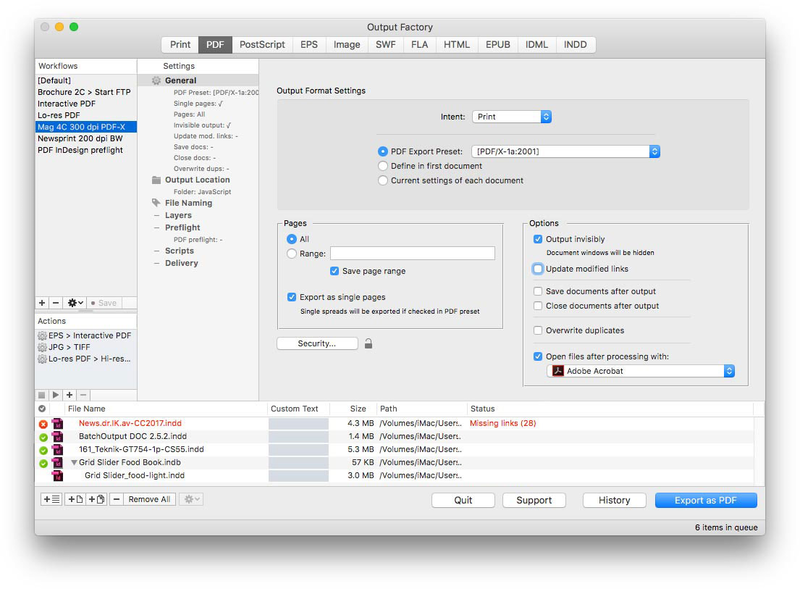 Imagine being able to work with other programs while Output Factory continues to output InDesign documents in the background, or letting Output Factory do all of the heavy lifting while you go out for dinner, or even home for the night. Every output format you would need is supported by Output Factory, from PDF, PostScript, EPS, and Flash to IDML, EPUB, and image formats. 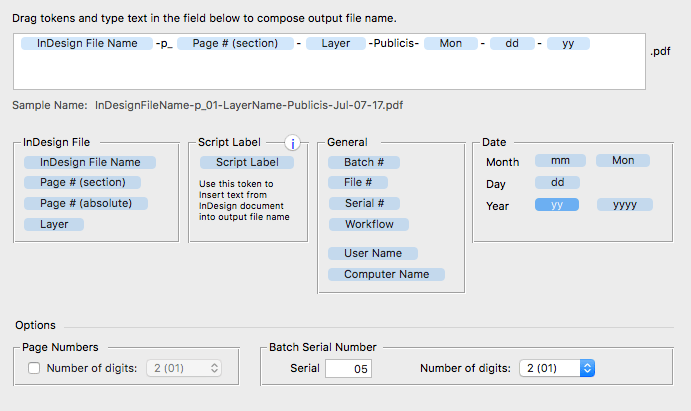 You can even customize Output Factory to create workflows for specific types of jobs, with the ability to import and export workflows to enable sharing across the entire company or workgroup. And Output Factory is so powerful, these workflows can mix and match output formats and work with variable filenames, so your potential is truly unlimited! After you purchase Output Factory it may be used indefinitely. Output Factory is licensed per computer, and not per user. Each license allows installation on all owned computers, but Output Factory may not be used at exactly the same time on each of them.